Will Kent Hehr be the first Liberal MP elected in Calgary since Trudeaumania? Mark Migotti is a philosophy professor at the University of Calgary. I meet Kent Hehr for breakfast three weeks into this endurance test of an election campaign. We talk sports, his family background, the extraordinary provincial election in May, and the upcoming federal election in which he’s running as the Liberal candidate in Calgary Centre. After half an hour, he backs his wheelchair away from the table to tell his ride that he’ll make his own way home. When our server comes to clear the table, she has a question: “I heard you talking about politics, and I’m wondering if you can tell me what happened when the Wild Rose party leader crossed the floor and joined the Conservatives. How can politicians be allowed to do that?” Hehr explains the nature of party affiliation in parliamentary democracy, adding that “when they call you with an offer to join them, they usually give you one night’s sleep to decide; I’ve received such calls.” By “them” he means the now decimated Progressive Conservative Party of Alberta, and Hehr is clearly proud both of having received offers to cross the floor when he was an opposition MLA, and of having refused them. When Hehr announced in July 2014 that he wouldn’t run for a third term as MLA for the Calgary–Buffalo electoral district, but would seek the Liberal nomination in the roughly corresponding federal riding of Calgary Centre in the next election, he was exchanging the near certainty of a return to Edmonton with a lead role in Her Majesty’s Loyal Opposition for the very uncertain prospect of becoming the first Liberal MP elected in Calgary since Trudeaumania. The unprecedented results of the provincial election of this past May made Hehr’s decision look providential. It’s one thing to fight the good fight, another to spend your time “opposing” people you basically agree with. Calgary Centre made the national news in November 2012 when it appeared that voters might elect Chris Turner of the Green Party to succeed the retired Conservative Lee Richardson. They didn’t, but Joan Crockatt barely won the by-election, and her party’s share of the vote went down 20 percent—in retrospect a harbinger of stranger things to come. As affable as the day is long, Hehr darts cheerfully about in his zippy wheelchair: He was a promising hockey player for Mount Royal College when he was shot in the neck in a drive-by shooting in 1991 while stopped at a red light. He seems to relish his nightly rounds of door knocking. The evening I tag along, we cover a public housing block and some mid-range condos at the southern edge of the riding across the street from Mount Royal University. Just up the road is an expensive block of condos on the site of an abandoned Canadian Forces base. One of the volunteers reports an unpleasant evening canvassing there. 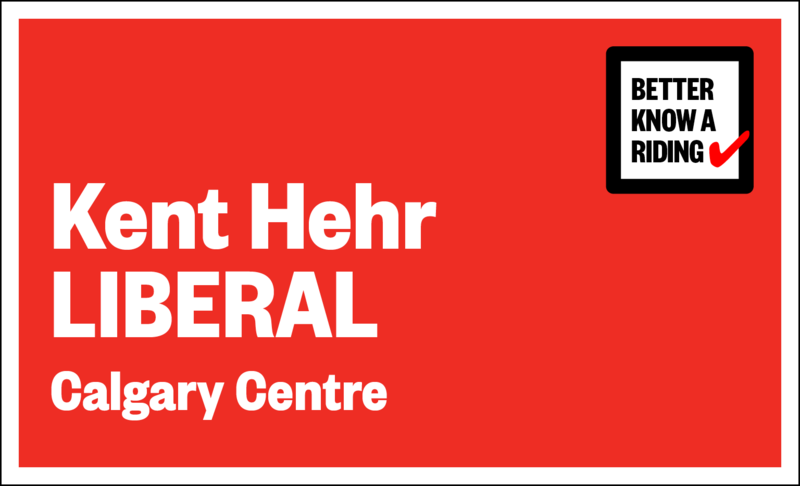 In the public housing block, as Hehr canvasses a taciturn woman who listens to him patiently but without enthusiasm, an enraged neighbour bolts out of his door to convey, in the warmest and earthiest of terms, with much angry gesticulation, his dim view of “liberals.” Hehr’s interlocutor takes a lawn sign, in part, I suspect, to spite the maker of the unpleasant scene. The Liberal candidate expresses his gratitude and moves on. The closest thing to a tense encounter involves a university student canvassed by Hehr. He’s not up on politics, he says, and won’t be voting for anyone. Hehr’s disgust is visceral, and his anger barely contained as he gives the young man a tart reminder of his civic responsibilities.